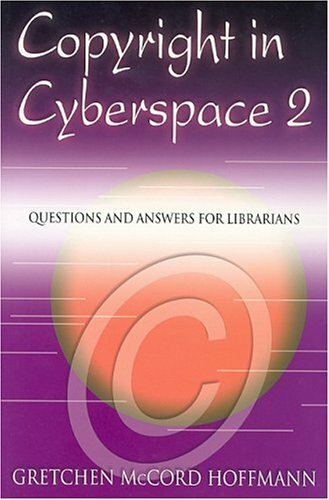 You've been floating through cyberspace wondering if you are using and dispensing information legally. Worry, no more! Now, you have the answers at your fingertips. Written in an easy-to-understand question-and-answer format, this handbook provides the guidelines you need without confusing technical jargon and legalese. Topics covered include: hyperlinks and framing, browsing and caching, digital images, interlibrary loan and resource sharing, e-reserves and class-based Web pages, library instruction, and distance education. New and expanded chapters feature information on the Digital Millennium Copyright Act, file-sharing, licensing, writing a copyright policy, and more. If you have any questions about this product by Brand: Neal-Schuman Publishers, contact us by completing and submitting the form below. If you are looking for a specif part number, please include it with your message.